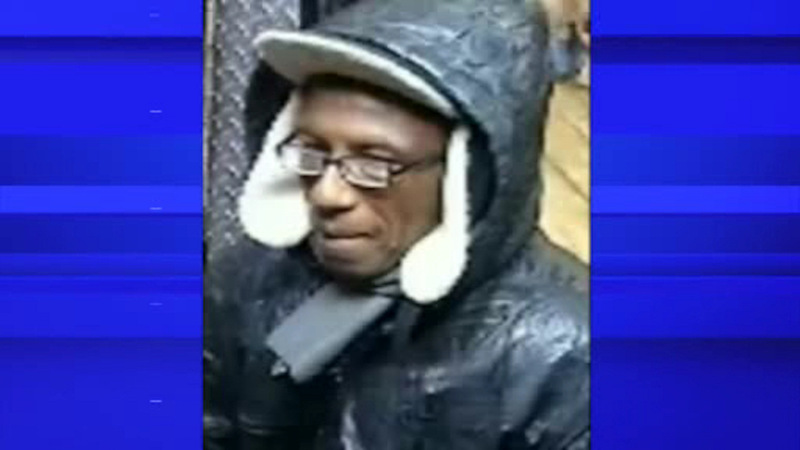 CROWN HEIGHTS, Brooklyn (WABC) -- The NYPD is on the lookout for an individual wanted in connection with a stabbing outside a deli in Brooklyn last week. The incident happened at a deli on Utica Avenue in Crown Heights on Friday, January 13th at just after 9:30 p.m.
Police say that the suspect approached a 32-year-old man inside the deli and asked him for 50 cents. When the victim refused, the suspect followed him outside the deli and then proceeded to stab him in the torso and steal his wallet and smartphone. The suspect then managed to get away, while the victim was taken to Kings County Hospital in stable condition. The wanted individual is described as approximately 50-years-old, 5'10", 155 pounds, and was last seen wearing a black jacket, black baseball hat with the NY in the front and eyeglasses.